Generations of dancers have studied and grown under the gentle expertise of Madame Fujima Kansuma. Madame Fujima Kansuma is seated in her studio on the fourth floor of the JACCC in Little Tokyo. Two young girls in bright kimono bow deeply to Osho-san as they enter the room, and again before they start their practice. 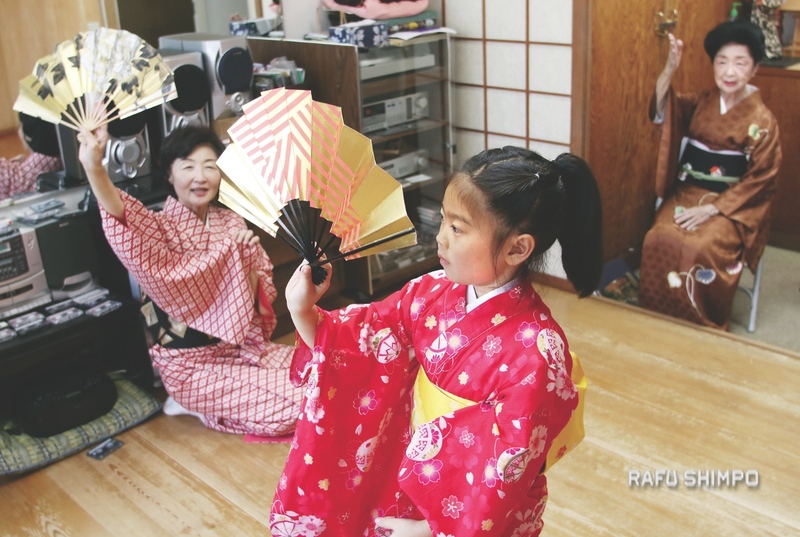 With her daughter Miyako Tachibana by her side, Kansuma guides Momoka Kato and Kami Nobuyuki through their movements; starting with how to open their Japanese fans and then flip them quickly, catching the fans in midair. “Open your fan. Don’t drop it,” she says. “Oh, she did it!” she exclaims, clapping her hands together. Through every turn, tilt of the head, and gesture, she is there to guide her students, calling out movements and cues, often dancing along in her chair as her dancers perform. Tachibana is there as well, turning on the cassette tape and gently coaching the girls as they twirl and open bright wooden parasols. Momoka and Kami do their best — just as generations of dancers have — under the watchful eye of Fujima Kansuma. To hear her dancers speak of Osho-san is to hear a reverence for all that she has accomplished and all she has taught them. As we watch, Madame Kansuma hunches her shoulders — as if the years weigh heavily upon her — but with powerful gestures and vocal cues, she coaches Toyo Wedel (Fujima Kansuto) and Jane Kiyoko Dote (Fujima Kansusei) in a dance of an elderly couple based upon the noh drama “Takasago.” With every movement and beat of the music, Osho-san explains the meaning behind the dance and its lyrics. Today, Kansuma continues to teach; she has worked with more than 2,000 students, 48 of whom have achieved natori status. “It’s amazing. We’re always just astounded by her talent and her knowledge. She’s just really a devoted, great teacher,” Wedel said. Photo taken at a Little Tokyo photo studio shows the 9-year-old future instructor, born Sumako Hamaguchi. 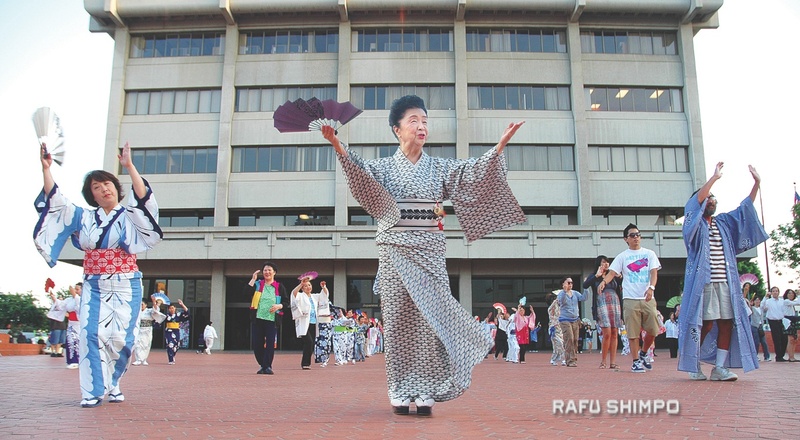 In an unprecedented move, Nisei Week announced a year in advance that the 99-year-old classical dance instructor would lead the Grand Parade again next summer as the official choreographer. The festival, with the gracious cooperation of the other choreographers, decided to change the rotation to allow for an opportunity to honor Kansuma on this special occasion. In 1934, Kansuma participated in the very first Nisei Week Japanese Festival. She will return to her beloved Little Tokyo once again at 100 years old to lead dancers through a very different neighborhood. While icons such as the Far East Café and the Sun Building may be gone, one icon remains, and she couldn’t be happier. “I feel great. To think that I am still sharing the art that I love and they are enjoying it. It makes me very, very happy,” she said. 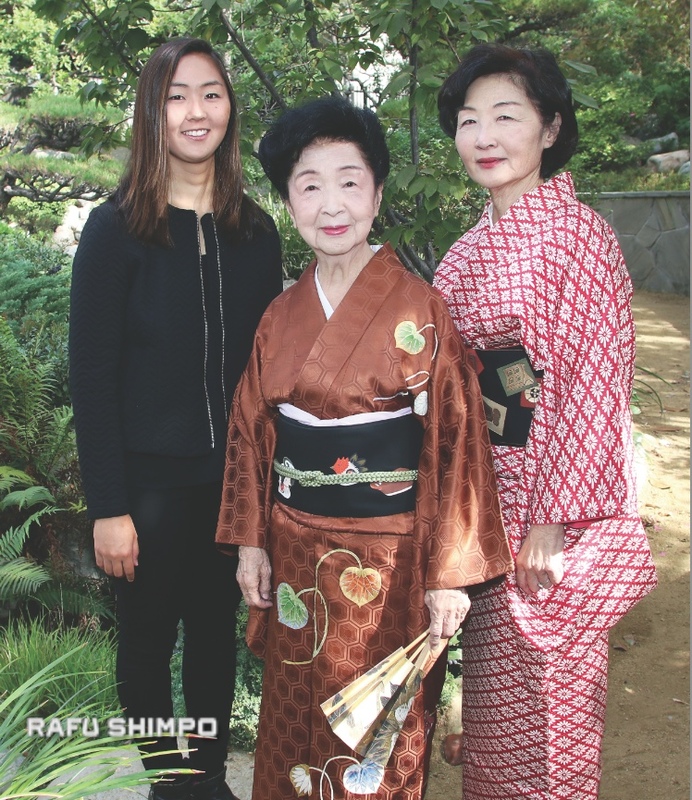 Hard work, discipline and a love of the Japanese American community define individuals such as Madame Kansuma, who embody their artistry through disciplines such as flower arrangement, tea ceremony, music, poetry, calligraphy and martial arts. 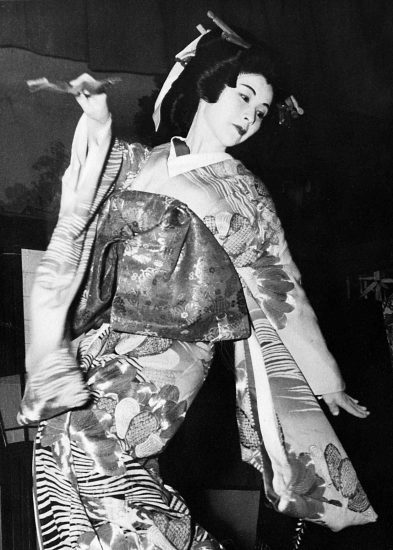 Born Sumako Hamaguchi in San Francisco on May 9, 1918, she began training in Japanese dance at the age of nine. A commemorative program from the 1930s for the Rafu Shojo Kabuki Gekidan, a troupe of girl kabuki performers, features Madame Kansuma on the cover for a dance exhibition in Hawaii. She recalled a performance from those times that inspired her to further pursue her art. Azuma Tokuho, an acclaimed dancer from Japan, was the featured performer. Later she would purchase the cedar wood floor from Azuma for her dance studio at the JACCC. 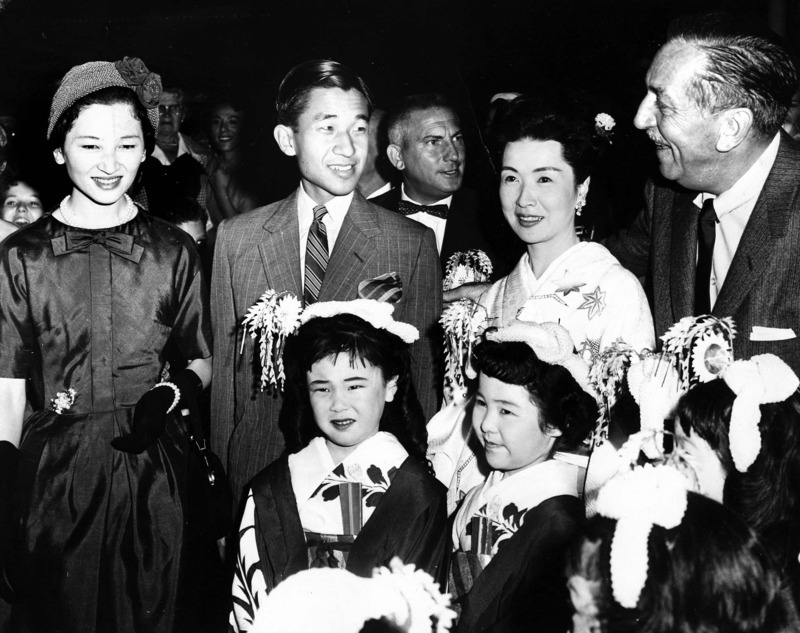 A 1962 visit to Disneyland brought Kansuma together with Crown Prince Akihito and Crown Princess Michiko (the current emperor and empress) and host Walt Disney. In 1934, Kansuma traveled to Japan, studying under Kikugoro Onoe VI. Traditionally, a Japanese child begins training in dance on the sixth day of the sixth month of her sixth year, but she persisted, learning acting, dancing, kimono dress and etiquette, shamisen and tokiwazu music. She received her dance name from Fujima Kanjuro, grandmaster (gosoke) of the Fujima School, in 1938, returning to Los Angeles to open a dance studio in a hotel owned by her father. 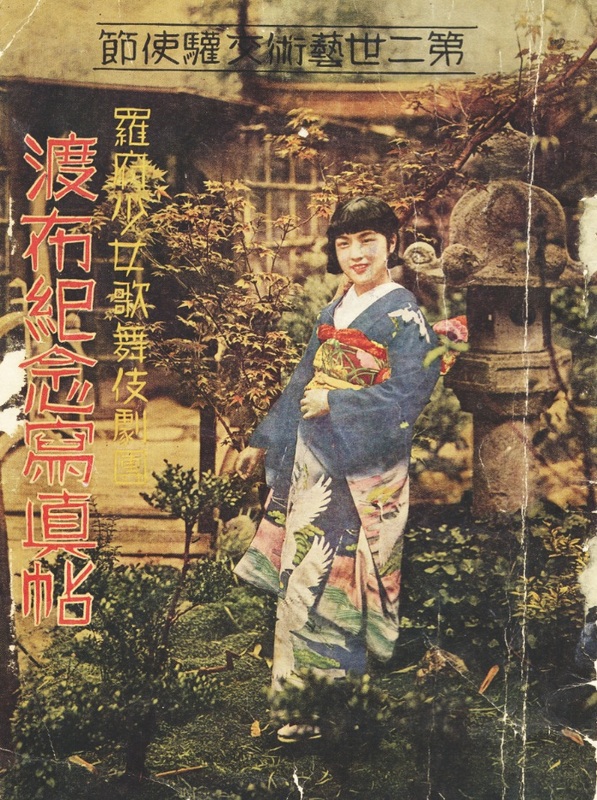 A 1930s commemorative program for a performance by Rafu Shojo Kabuki Gekidan features Madame Kansuma on the cover. During World War II, Kansuma and her family were first sent to the Santa Anita Assembly Center and then to the concentration camp in Rohwer, Ark. In that grim setting, Kansuma continued to pursue dance in the camp, although she had few tools. Upon her arrival at Rohwer, she had brought only a wig, a kimono, a fan and one recording with her at first. Eventually, government authorities allowed Kansuma, under armed guard, to return to Los Angeles to retrieve her costumes and records. She then was permitted to perform and teach. The importance of her work was underlined by the fact that she taught and performed at a number of the different camps until the war’s end. Shirley Muramoto Wong documented the role of traditional arts in camps in the 2014 film “Hidden Legacy: Japanese Performing Arts in WWII Internment Camps.” She said Kansuma embodies a group of “brave artists” who continued to practice their art behind barbed wire. “Because the message in the camps at that time was to be as American as possible to show that Japanese Americans were loyal citizens, doing anything Japanese during World War II was considered being part of the ‘enemy,’” Muramoto Wong stated. Muramoto Wong said a consequence of the incarceration was that books, recordings and letters written in Japanese were destroyed to avoid suspicion. In that wartime setting, Kansuma performed “Urashima Taro,” the Japanese folk tale of a young boy who travels astride a turtle to a kingdom under the waters. Many years later, he returns to the surface with a jeweled box and a warning to never open it, and discovers that centuries have passed while he was away. The poignancy of this tale of lost time was not lost on her audience. Her daughter recalled years later meeting residents of the former Keiro facilities who remembered seeing her mother perform in camp. “People who were there remembered seeing her dance in camps, they were tapping along with their canes. As a child I tagged along and observed all this stuff. It was very powerful,” Tachibana said. Over the years, Kansuma has performed for the likes of Walt Disney and Emperor Akihito and has danced at venues such as the Dorothy Chandler Pavilion, the Tournament of Roses Parade and the 1984 Olympics. In 1985, the Government of Japan awarded Madame Kansuma the Order of the Precious Crown, Apricot. The National Endowment also deemed her a National Heritage Fellow for the Arts in 1987. In 2004, she was given the Japanese American National Museum’s Cultural Ambassador Award. Tachibana, whose professional name is Fujima Kansuzu, likens her mother to basketball coaching legend John Wooden in her quest for perfection and her ability to inspire a team spirit in her dancers. She described the sometimes chaotic behind-the-scenes moments prior to performances for audiences unaware of the preparation that takes place. Performances require props, wigs, costumes and kimono. While their dance studio is lined with cedar wood, they could be performing on carpet or concrete, depending on the location. Somehow it all comes together. “The families work together so joyfully. The students are so gracious. Sometimes it gets crazy because creative minds often change course quickly,” Tachibana said. “She doesn’t expect anything that she wouldn’t expect of herself. Very demanding,” her daughter observed. “She is never satisfied. Because she’s an artist she is never satisfied. For the moment and what we do whatever you put out there, she’s OK with it. We can always improve, do something a little bit better,” Jeanne Terumi Ideno said. Ideno and her twin sister Joanne Harumi Yamahata have been studying with Kansuma for decades. Other students have left to raise families and returned to dancing later in life. “Dance keeps you centered. To me it keeps me centered and makes me think about other things than just work or kids or whatever,” Ideno said. Her troupe, Fujima Kansuma Kai, practices each Saturday and the first and third Thursday of the month in her studio at the JACCC. The next public performance will be in February at the Gardena Valley Japanese Cultural Institute. 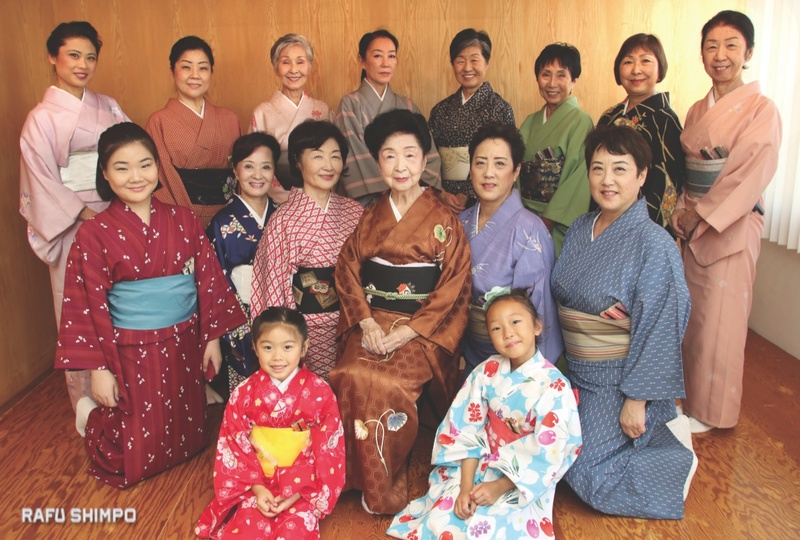 The group will also dance at the 2018 Nisei Week Grand Parade as a salute to a remarkable individual. Despite her genki spirit, in quiet moments, Kansuma muses upon whether she will be here for her 100th. Her sister passed away at just 15 years old. Through all the years, dance has been a constant, sustaining her during the difficult times. “At that time I didn’t know if I should quit or go on. But I was in Hawaii and I thought to myself, I’m gonna go on until I’m 50. Then another 50 I’m going to be alive for you, my sister. Then I thought [at]99 I have one more year that I promised my sister,” Kansuma said.